Do you look after someone who could not manage without you? Carers often put the health of the person they care for before their own. To be able to care for others, you must care for yourself! You do not need to be claiming or receiving Carer’s Allowance to be considered a “carer”. Devon Carers is the service in Devon for all carers and is funded by the NHS to provide information, support and short breaks to carers. Anyone who looks after someone is entitled to access their services and carers do not have to undertake any assessments or eligibility checks in order to access their help. There are a wide range of free and confidential services available and it’s the carer’s choice to access whichever services they feel would be beneficial. 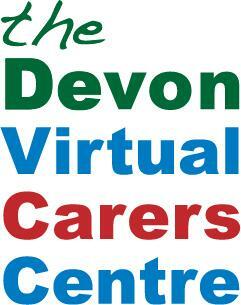 - In Devon there are around 84,000 carers providing unpaid care for relatives and friends. - Over a million carers, care for 50+ hours per week. - 1 in 8 adults (around six million people) are carers. - By 2037, it's anticipated that the number of carers will increase to 9 million. - Every day another 6,000 people take on a caring responsibility - that equals over 2 million people each year. - There are 175,000 young people over the age of 18 who provide care for people. 13,000 of these provide care for 50 hours or more per week. - 58% of carers are women and 42% are men. - 1 in 5 of carers providing substantial care are not in good health compared to 1 in 10 of those who are not carers. - People providing high levels of care are twice as likely to be permanently sick or disabled. - 625,000 people suffer mental and physical ill health as a direct consequence of the stress and physical demands of caring. - 52% of carers providing substantial care had been treated for a stress-related disorder. Offering support for carers aged 50+ who are facing the end of their caring role. This is a free service providing information, bereavement support, signposting and mentoring. There is a wealth of information on NHS website about carers and caring. Below are some links into the site that we hope you will find useful.